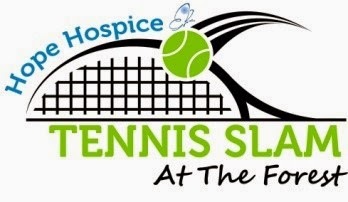 We are excited to announce the Second Annual Hope Hospice Tennis Slam on Saturday, January 24th. Last year the golf and tennis events raised over $22,000 for Hope Hospice! This year, we have an all-day schedule planned with food, clinics, pro-am, exhibition match and a reception with a silent auction. Participation is limited so make sure to sign up for this event as soon as possible. Event Sign Up will be open to the public on January 9. Sign up by e-mailing Jennifer Owenby, Tennis Activities Director or calling the tennis pro shop at (239) 482-8690. Raffle and silent auction winners announced after exhibition.